Want to achieve a better brewing experience without expensive, bulky machines? A coffee drip kettle is a solution. Coffee drip kettle allows for pouring of one stream of water to bring out the most of the coffee beans. 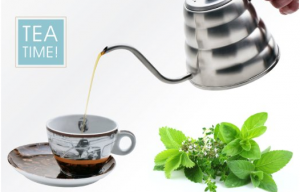 A perfect gift for coffee and tea enthusiasts.Well, what are you waiting for? Order your kettle and save precious counter space and money. Get precise control when pouring every time with the Fino Pour Over Coffee and Tea Kettle. This kettle features narrow spout and gooseneck curve that naturally produce the slow and precise water flow, extracting the most flavor when brewing coffee or tea. Its angled handle keeps hands away from the heated pot for safety. 6-cup (1-liter) capacity. Safe for use on gas, electric and induction stovetops. Also dishwasher safe for easy cleaning. 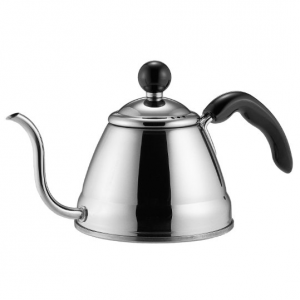 If you do pour over coffee, then you will need the Hario V60 Buono Coffee Drip Kettle. This stunning stainless steel kettle is easy to use and features a thin spout for easy pouring. It offers a generous capacity of 27 ounces of liquid, or roughly 3-4 cups and can be used directly on IH range, gas, or electric stoves. Made of stainless steel, this quality coffee drip kettle gives you the control you need to make an excellent cup of coffee. 3. Pour Over Coffee Drip Kettle. Premium Stainless Steel Gooseneck Tea Kettle By Simple Kitchen Products. Brew the perfect cup of coffee easily with the Pour Over Coffee Drip Kettle by Simple Kitchen Products. 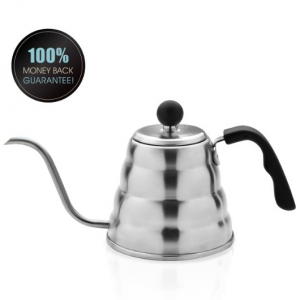 This brushed stainless steel coffee and tea kettle can hold a generous 1200 ml / 40 oz. and has a gooseneck design to produce smooth, precise water flow, drawing the most delicious taste from the brewing source. Its attractive design will also looks great on your countertop. Safe to use on infrared heat, gas or electric ranges. A coffee addict who brew coffee every morning? 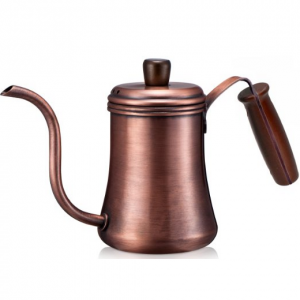 You will love the Diguo Classic Pour Over Drip Coffee Kettle. This coffee kettle features 18-8 Stainless steel body and wood handle that keeps hand away from the heated pot. The goose-neck spout for controlled pour. Safe for use on gas, electric and induction stovetops. Holds 0.7 liter of water. 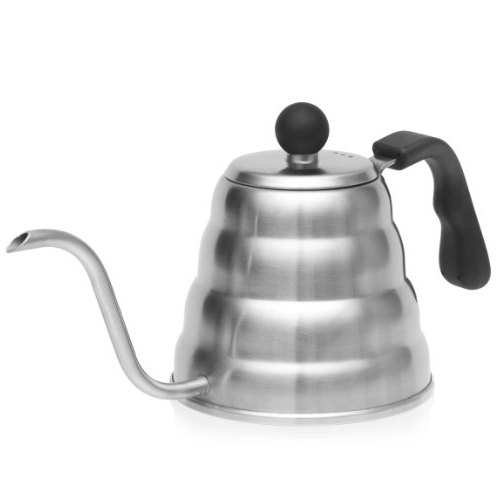 Perfect for manual pour over coffee and tea brewing. You will also love its classic and elegant design which looks great in any kitchen. 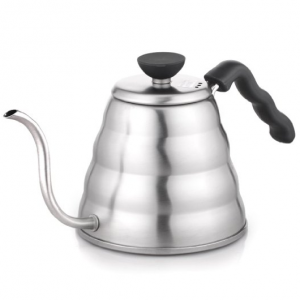 Fashionable and functional, the BRU’s Pour Over Coffee Kettle is excellent for making perfect pour over coffee. This coffee kettle has a 40.5 ounce (4-5 cup) capacity and features narrow goose-neck/curved spout for steady and controlled pouring, delivering a slow and precise water flow to ensure the most flavor. Made from 18/8 stainless steel, this kettle is safe to use on gas, electric and induction stove-tops and goes. Also dishwasher safe for easy cleanup.